Julia likes the Magic Treehouse series, and I picked up 'Christmas in Camelot' from the library. She seems excited for this one, so that's good enough for me. 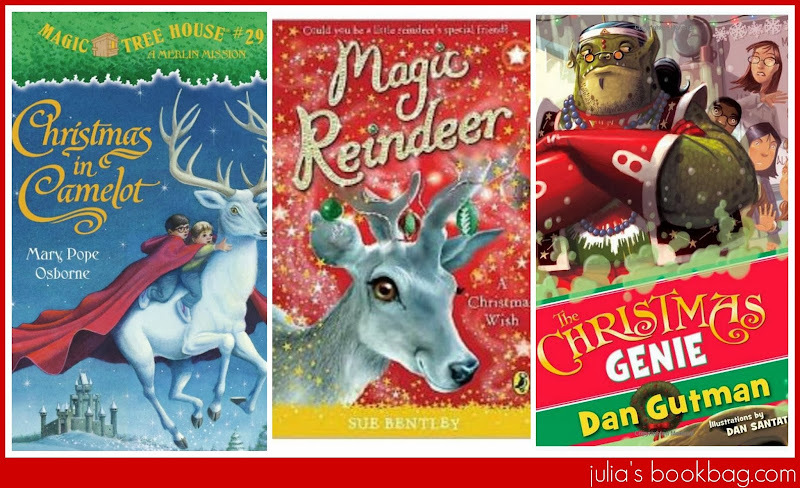 I ordered her 'Magic Reindeer' by Sue Bentley because she loves the whole Magic Pet series, and I also ordered 'The Christmas Genie' by Dan Gutman because well, look at it. 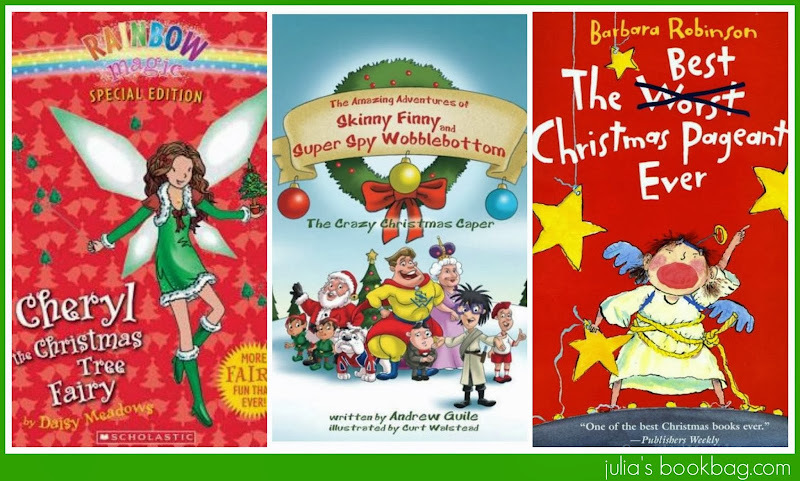 'Skinny Finny and Super Spy Wobblebottom: The Crazy Christmas Caper' is new this year and supposed to be HILARIOUS, and it wins for the best title ever. So into the pile it went. Now, 'The Best Worst Christmas Pageant Ever' by Barbara Robinson is not new. In fact, here is something funny. I saw this wrapped under the tree when I was about 9 or 10. I could tell it was a book. So I OPENED IT, READ IT, and then WRAPPED IT AGAIN, and put it back under the tree. I felt quite proud of myself. Anyway, it's one of the best books ever, nevermind the season. This book is flat out hilarious, and a true classic, and if you or your kiddos have never read it, NOW'S THE TIME. Julia's teacher read it to the class in the 1st grade and they loooooooooooooved it. You must read this book if you have a kid ages 6 and up. I *may* be a little freaked out my the picture on The Christmas Genie. Isn't it funny how children grow so quickly and suddenly here they are devouring chapter books? 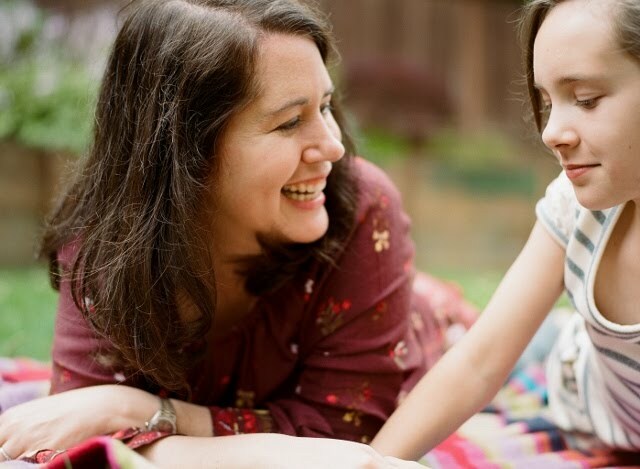 It's a great transition and you'll have so much more books to discover with her! The Best Christmas Pageant Ever has a hilarious cover (and I am a sucker for great book covers!) so that will make my list for sure! You'd never think too many books could be a problem right? It's a problem, I tell you!!!! So jealous you get to see a Junie B musical!!!!!!!!!!! !